Get tapping right from the start. 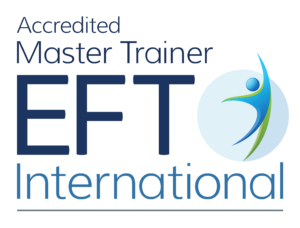 Designed for those who want a thorough education in therapeutic EFT. This course is for you if you are a people-helper in whatever context, or you would like to be. Gwyneth Moss says: EFT is Everyone’s Freedom Technique so I teach using everyday language and lots of story and metaphor so that the concepts of emotional change are relevant, personal and easy to understand. My aim is to give you clear, practical information with no fuss and no hype. Simple structures and helpful models make the teaching and demonstrations easy to follow. Stories from real experience help you relate to your own issues. Carefully designed exercises enable you to learn one step at a time. The EFT Guild Part One course is both foundational and comprehensive to give you a thorough base from which to start helping others with EFT. Experienced practitioners who have repeated this course have benefited from the solid body of knowledge and experience. Part One gets you tapping right from the start. You will be able to use EFT to help others with simple problems. You can tell people that you have started learning this amazing technique and can share it but you have not yet completed the training. Let it be their decision to proceed or not. Throughout the course there will be opportunities to watch live demonstrations of technique and to practice with other students. Feedback and discussion time allows you to get your questions answered. “I took part in a two day EFT workshop with Gwyneth, and I have found it to be one of the most enlightening, useful and enjoyable training experiences ever (I should add that I am a learning addict and have attended a vast number of courses and workshops, including those with internationally renown trainers and therapists such as Steve Gilligan, Judy Delozier and David Gordon). In my opinion, Gwyneth combines her EFT skills and knowledge with those in NLP and hypnotherapy with great elegance and integrity. During the workshop Gwyneth explained and demonstrated EFT processes in a clear, empathic, and enthusiastic way, showing great responsivity to individual needs in the group. Both her passion and compassion shined through at all times, and in combination with her therapeutic and groupwork skills that made a great training event. I am a Master NLP Practitioner and have experience in a number of other therapeutic approaches. I currently work as a Treatment Manager of a drug rehabilitation programme in a women’s prison in Cheshire, UK. Training with Gwyneth has enabled me to introduce EFT to both prisoners and staff in this establishment, and I have been delighted to see the positive and often dramatic changes that this has brought to people’s ability to cope in this difficult environment. “I have recently experienced my EFT training under the facilitation of Gwyneth Moss. The 2 days spent under her support and guidance were not only informative but also highly enjoyable. Gwyneth conveyed a high level of professionalism, respect for participants, and a sound knowledge base. Her timing and pace were excellent and she kept everyone energised and interested throughout. She provided plenty of time for questions and answers, exploration and consolidation. Perhaps most impressive was her ability to work so swiftly and with calm assurance with emotional issues as they arose. From a personal perspective, I experienced an intense issue whilst working with another trainee. Gwyneth not only tapped me out of the trauma but I believe her interventions have helped turn my life around. My own background in lengthy psychoanalytical psychotherapy training has been considerably challenged as a result.